Carrie joined Watsi on August 6th, 2014. 8 other people also joined Watsi on that day! Carrie's most recent donation traveled 8,800 miles to support Ngwanali, a man from Malawi, to fund prostate surgery. Carrie has funded healthcare for 43 patients in 11 countries. Thav is a police officer from Cambodia. He has one son. He likes to exercise and watch TV in his free time. Two years ago, he started developing bilateral hip pain. He has difficulty walking and cannot work. Fortunately, Thav learned about our medical partner, Children's Surgical Centre. At CSC, surgeons can perform a total hip replacement to relieve Thav of his pain and allow him to walk easily. Treatment is scheduled for October 17, and Thav needs help raising $1,025 to pay for this procedure. He says, "I hope after the surgery I won't be in pain and will be able to sleep well." Lak Mom is a nun from Cambodia. She is married and has two stepchildren. She likes to meditate and listen to monks pray on the radio. 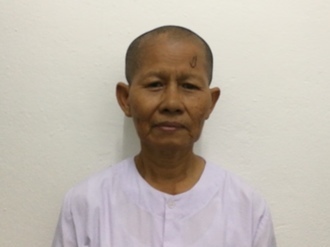 Two years ago, Lak Mom developed a cataract in her left eye, causing her blurry vision and tearing. She has difficulty seeing things clearly, recognizing faces, and going anywhere outside. When Lak Mom learned about our medical partner, Children's Surgical Centre, she traveled for three hours seeking treatment. On December 10, doctors will perform a small incision cataract surgery and an intraocular lens implant in her left eye. After recovery, she will be able to see clearly. Now, she needs help to fund this $211 procedure. She says, "I look forward to being able to see and read and spending time at the temple after my surgery." Sombath is a vegetable farmer from Cambodia. She has one daughter and four grandchildren. She likes to listen to monks pray on the radio. 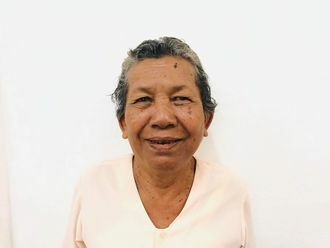 Two years ago, Sombath developed a cataract in her left eye, causing her blurry vision, tearing, burning, irritation, and photophobia. She has difficulty seeing things clearly, recognizing faces, and going anywhere outside. When Sombath learned about our medical partner, Children's Surgical Centre, she traveled for three hours seeking treatment. On November 14, doctors will perform a phacoemulsification surgery and an intraocular lens implant in her left eye. After recovery, she will be able to see clearly. Now, she needs help to fund this $211 procedure. She says, "I hope my vision improves so I can return to work and go for walks again." Meet Aydarus, a 26-year old man living in Somaliland. He sustained severe burns in an accident, and has had to travel 16 hours round-trip to receive constant treatment in the last year, including skin grafts. 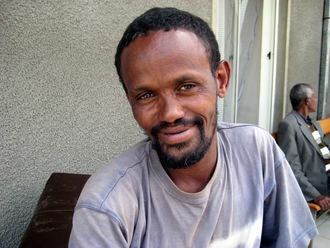 Aydarus needs further medical care, but is unable to afford it since he hasn't been able to work since his accident. 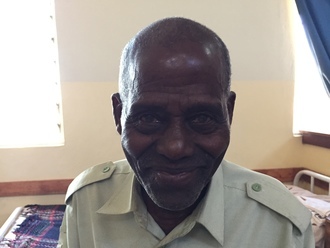 For $1,500 he will receive the care his wounds need as well as have his bilateral axillary contractures released, which will allow him to "be able to move his arms more freely...and therefore obtain more autonomy in his daily living" shares our partner, Edna Adan Hospital (EAH). “Aydarus is looking forward to the end of his treatment so he can start 'fresh,'" adds EAH. Let's help him get there! Meet Mariano, a 60-year-old father of eight living in Guatemala with his wife. Mariano used to work as a health promoter in his rural farming community, until his condition worsened and kept him from working. Mariano has severe diabetes, a long-term condition characterized by high blood sugar. This high blood sugar results from two possible sources - either the body doesn’t produce enough insulin, or the body doesn’t properly respond to insulin. “Because of severe diabetes-related symptoms, blurred vision, fatigue and dizziness, [Mariano] has been unable to work,” our medical partners at Wuqu’ Kawoq (WK) explain. “He’s had three hospitalizations for severe high blood glucose in the last few months. He can’t afford the medicine, and without urgent intervention he is in danger of dying from this condition.” “I want to feel well, I want to spend time with my family, I want to watch my grandchildren grow up,” Mariano tells us. 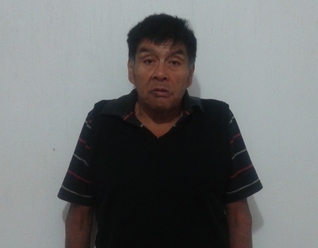 For $450, we can fund the treatment Mariano needs for his acute diabetes. His doctors at WK expect that the treatment will result in “resolved severe high blood sugars, prevention of hospitalization and death, [and the] ability to spend time with his family.” Let’s come together to make this happen for Mariano! Meet Say Min, a 15-year-old student from Min is the youngest of six children and loves playing soccer and studying English in school. Min has a large bulge on his face caused by brain tissue protruding from his skull. "He has brain tissue pushing through a hole in his skull that is causing his face to bulge," our medical partners at Children's Surgical Centre tell us. "He is very sad and shy because of his condition." For $390, we can pay for Min's surgery to remove the bulge. As a result, CSC says, "He will no longer have a bulge on his face, and it will be easier to address his other health issues." Let's raise the money Min needs for surgery to repair his condition. “Getu was shot in both knees during a car robbery," our medical partner, African Mission Healthcare Foundation, writes. "The driver of the car was killed. 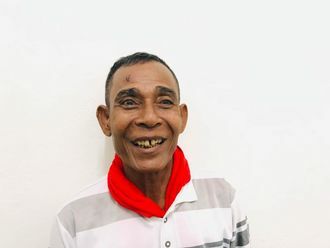 He was transported to the hospital by a group of good samaritans who saw him crying beside the road and took up a collection for hospital transport." Getu, a 27-year-old man from Ethiopia, has now been treated for his gunshot wounds, but his left knee is infected. Doctors have diagnosed him with osteomyelitis, a bone infection that could require the amputation of his leg if it spreads. Getu urgently needs surgery to remove the dead and infected bone, save his leg, and restore his mobility. Until then, he is unable to walk. “I want to get an education so that I can work in an office someday,” he tells his doctors. For $535, we can cover the cost of the surgery Getu needs to walk again and help him move forward with his life! 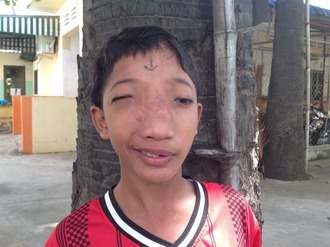 "Sambo has two children," Children's Surgical Centre (CSC) tells us about this 38-year-old man from Cambodia. "He likes to listen to the news on the radio. Sambo said he wants to be able to return to feeding the pigs and planting morning glory on his farm." "Sambo's vision began to blur three months ago," CSC writes. "He had to stop working as a welder - making it hard for him to support his family. He is sad that he cannot work and help his wife care for their children and home." CSC clinicians are prepared to remove cataracts from both of Sambo's eyes to help restore his vision. The procedure is a simple one and will run at $150. Let's fund Sambo's care and get him back to work. Meet four-year-old Angeline from Haiti. 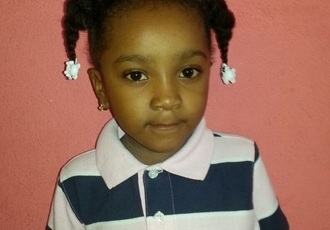 "Angeline is a very quiet and sweet girl, who is shy around new people but very attached to her mother," Haiti Cardiac Alliance (HCA) tells us. "She likes listening to music and playing with her older brother. She hasn't yet started primary school, but will start next year once her heart is fixed." "Angeline was born with a condition called pulmonic stenosis, in which a muscular blockage prevents blood from flowing freely into the pulmonary artery, causing it to back up into the heart," HCA writes. Luckily Health City Cayman Islands has stepped up with $5,000 to help fund the cost of the surgery Angeline needs. "Following surgery, Angeline should have normal blood flow through her heart, and should not experience any ongoing symptoms from her condition," HCA continues. $1,500 will cover the rest of costs associated with Angeline's care, including overseas prep and transport. "I want to say thank you to everyone who is helping Angeline have surgery," says Angeline's mother. "God will give you all blessings!" Together we can make sure Angeline gets the care she needs to be healthy. “It has been a long journey for us,” shares David’s mother. “I am glad that my son will finally be operated on, and I look forward to his treatment and good recovery.” David is a four-year-old boy from Ghana who is typically a very happy child; however, since falling ill, his spirits have dropped and he no longer smiles or laughs. David has been experiencing severe headaches and lack of stability when walking due to a brain tumor. When David got sick, his parents rushed him to a local hospital in Ghana, where he was diagnosed with a brain tumor. 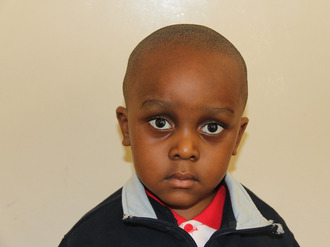 Unfortunately, the local hospital had no specialist surgeon to treat David, so he was referred to BethanyKids at Kijabe Hospital in Kenya, over 2,600 miles away. With the support of friends and family, David and his parents managed to get airline tickets to travel to Kijabe. Now, David’s father and mother need our support to help make this journey a success and ensure their son’s recovery. “David is likely to suffer increased intracranial pressure, which may lead to brain damage and ultimately death if not treated soon,” explain our partners at African Mission Healthcare Foundation. 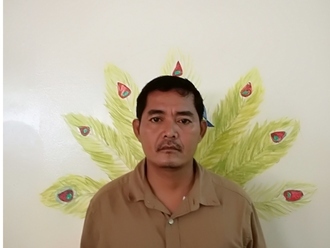 For $1,260 we can fund the craniotomy surgery that will stabilize David’s intracranial pressure and prevent any possibility of blindness or death. Let’s help David grow into a healthy, happy young man!